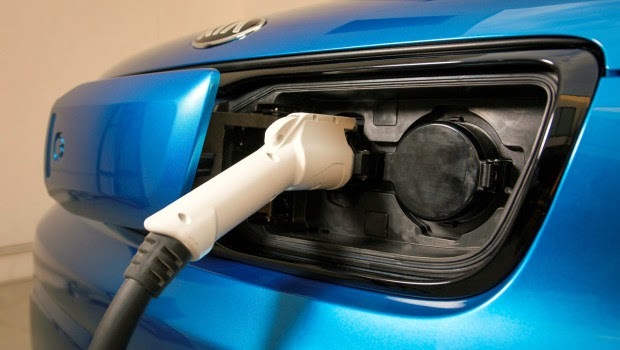 Kia Motors Corp rolled out an electric version of its Soul compact car on Thursday that the Korean automaker plans to begin selling in some U.S. markets later this year. The 2015 Soul EV, unveiled at the media kick-off for the 2014 Chicago Auto Show, is Kia's first all-electric, zero-emissions car in the United States and its second "green" car for the U.S. market, joining a hybrid version of the company's best-selling Optima sedan that has been available here since 2011. 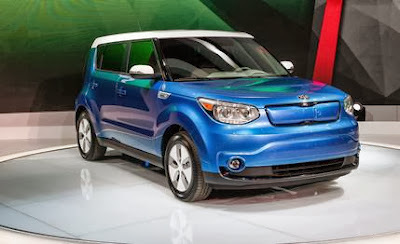 The Soul EV is powered by an air-cooled lithium-ion polymer battery and an 81.4 kW, 109-horsepower, liquid-cooled electric motor, which produces a 210 lb.-ft. of torque, according to Kia. The car can go from 0 to 60 mph (0 to 96 km per hour) in less than 12 seconds, has a top speed of 90 mph (144 km per hour) and can drive 80 to 100 miles (129 to 161 km) on a full charge, the company said. 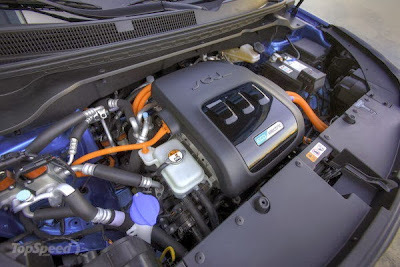 The vehicle can be recharged by plugging into any standard 120v outlet or a conventional 240v EV charger. The Soul EV will initially be sold in a handful of states, including California, Oregon, New York, New Jersey and Maryland, Kia said. Pricing has not yet been announced.